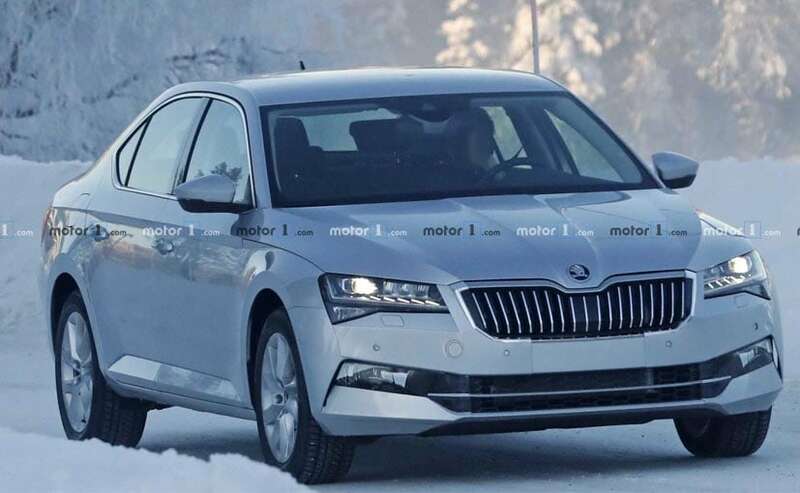 The 2019 Skoda Superb has been spotted going whether testing and it barely look different from the previous car. The changes on the 2019 Skoda Superb are barely noticeable. The Skoda Superb facelift gets minimal changes. The cabin is also likely to largely be the same. It will get same engine options. The current-generation Skoda Superb has been sticking around for almost three years now. Following the lifecycle of any model it's nearing the facelift time and the Czech carmaker is well aware of that. A barely camouflaged test-mule of the facelifted Skoda Superb has been spied going under cold weather testing. Since it's a mild refresh, there isn't expected to be any major change in the profile of the Superb. In fact, they are so subtle that it will require even a car regular to take a close look. 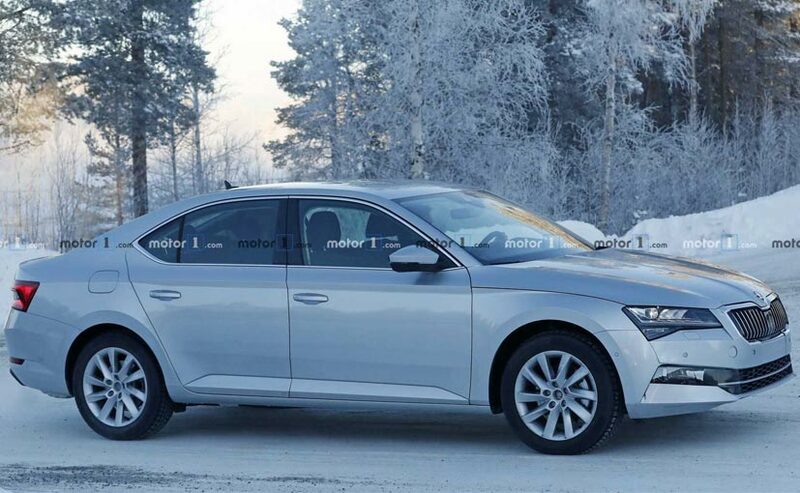 The Skoda Superb Facelift looks exactly the same from the side. For starters, headlights have been redesigned and they have been upgraded to ful-LED Matrix units (like the one seen on the Audi A6 Matrix) from xenon units. Since the test-mule has been wearing a body coloured camouflage, changes in the design are even more apparent. For instance, the front bumper has been tweaked and bottom skirts are wider now. Other than these, only the taillamps graphics have been revised at the rear and everything else remain the same. The story by large remains the same even on the inside as there hasn't been any significant change worth mentioning. The Skoda Superb already gets the latest infotainment system and can be upgraded to a 9-2-inch touchscreen unit with touch sensitive buttons on the steering wheel. Taillamps have a different graphic at the rear. 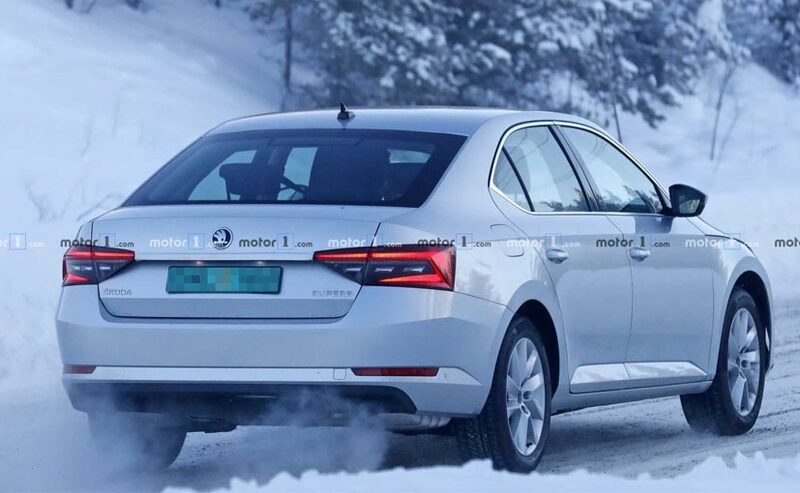 The Skoda Superb is built on Volkswagen group's MQB Platform and is likely to continue with the 2.0-litre TDI diesel unit which is mated to a six-speed DSG gearbox.